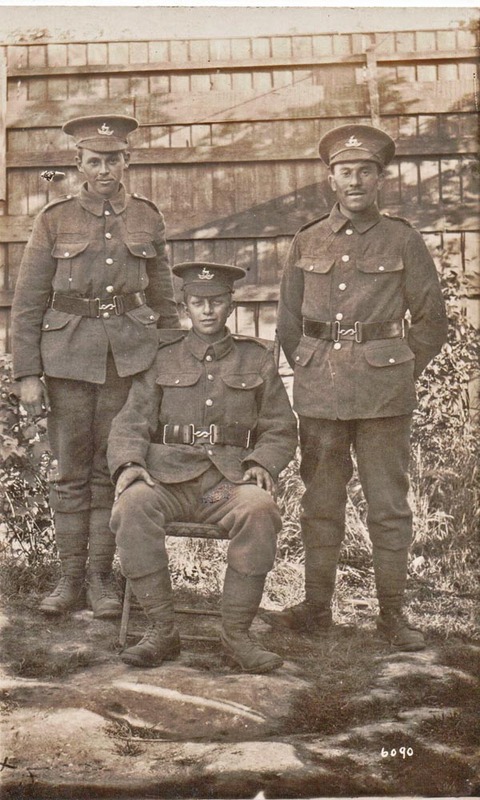 Both boys served in the same regiment, the 15th Battalion of the Royal Warwickshire Regiment. The daughter of William Edwin Stephens has written that her father was wounded in the war while her uncle was killed in action. There are no surviving Service Records but it is shown that Leonard enlisted at Newton Abbot and he was 'killed in action'. His personal items were returned to his mother. Formed at Birmingham in September 1914 by the Lord Mayor and a local committee. 26 June 1915 : came under command of 95th Brigade, 32nd Division. Landed at Boulogne 21 November 1915. 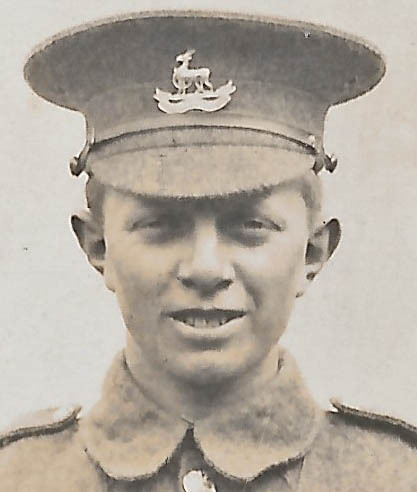 28 December 1915 : transferred to 14th Brigade, 5th Division. Transferred to 13th Brigade in same Division 14 January 1916. Moved to Italy with the Division in November 1917 but returned to France April 1918. The Second Battle of Passchendaele commenced on 26 October 1917, the date of Leonard's death. Further detail in 'Documents' below. Leonard Reggie Stephens was the second son of William Stephens (1863-1909) and Emily Gunningham (1860-1936). William was a gardener and had been born at Elworthy, Somerset and he married Emily (born in Ash Priors, Somerset) in Q1, 1891 in the Newton Abbot district. In 1901 they were living at a cottage (near Rock Cottage) Cockwood with William Edwin Stephens (1893-1982 ) aged 7 and Leonard Reggie Stephens aged 4. They both attended Starcross School (see photograph). 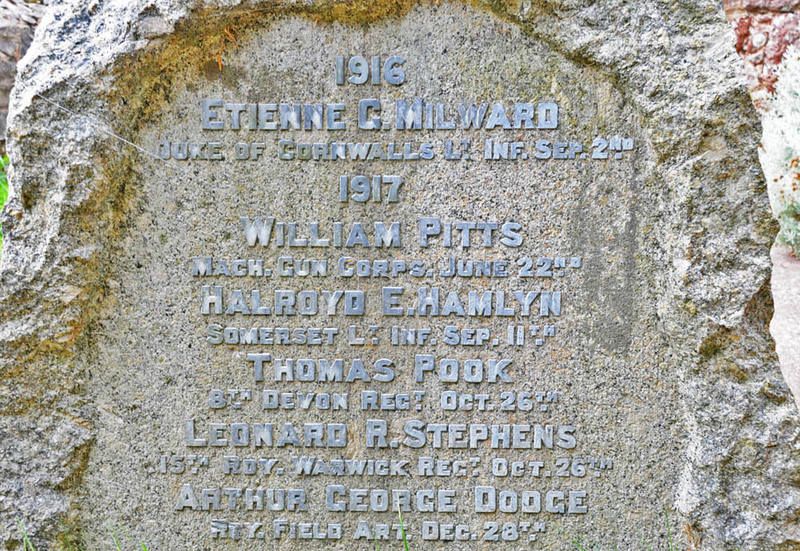 William Stephens died on 28th September 1909 at the young age of 46 and Emily was working as a Housekeeper to Edward Wollacott at Faleide, Southbrook, Starcross in 1911, with her two sons. Edwin was 16 and working as a Grocer's apprentice. William Edwin Stephens survived the war although wounded and undergoing convalescence in hospital at Bristol. His daughter has given a collection of family mementoes to Dawlish Museum. Emily Stephens (mother) of 11 Parson Street, Teignmouth.